June Dudley is a native Texan who grew up on a ranch and loves the Western life. She also loves to paint many of her favorite subjects, delightful children of her home state. 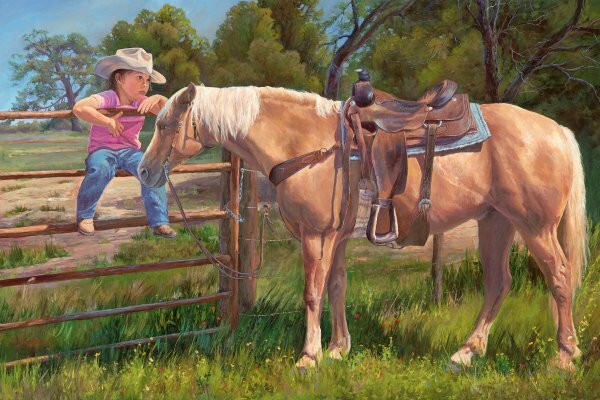 Sitting on a pasture gate, a small girl looks longingly at a beautiful horse tied to the fence and ready to ride. With her cowgirl attire, this little cowhand is ready to saddle up and go. She dreams of riding the range one day, but for now wishes "If Only I Could."